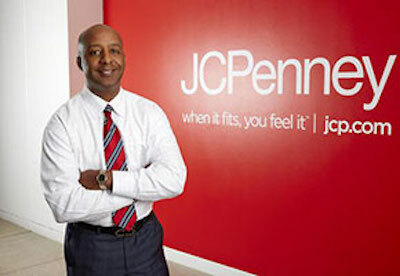 Marvin Ellison is the current CEO of J.C. Penney. He is the first African American CEO of the company in its one-hundred-fourteen-year history, and as of 2016 is one of only six African American CEOs to run a Fortune 500 company. J.C. Penney ranks two hundred fiftieth of the Fortune 500 corporations. Ellison was born in 1966 in Haywood County, Tennessee, and grew up in Brownsville, a small town about sixty miles northeast of Memphis, Tennessee. He was born to working-class parents and was the middle child of seven siblings. Neither his mother nor father graduated from high school, although his father had stable employment as a door-to-door insurance salesman. Ellison’s early life was marked by poverty and the limitations of living in rural and impoverished Haywood County, Tennessee. Despite this, Ellison was accepted into the University of Memphis as a business major in 1984. During his five and a half years at the University of Memphis, he worked various odd jobs in order to pay his tuition and support himself. These jobs included graveyard shifts at a convenience store, janitorial work at a women’s department store, and driving a plumbing supplies truck in the summer. Ellison graduated with a Business Administration degree in Marketing. He later earned his MBA at Emory University. After graduating from the University of Memphis, Ellison began his retail career at Target. He was employed there for fifteen years, working various jobs, ranging from store associate to corporate director of Asset Production. Ellison ended his fifteen-year tenure at Target to work for Home Depot as senior vice president of global logistics. He was then promoted to president of Home Depot’s Northern Division, where he oversaw seven hundred stores in twenty-one states with more than one hundred and fifty thousand employees. By 2008 he was named executive vice president of US stores. After fourteen years at Home Depot, J.C. Penney asked Ellison to be their CEO. He officially became CEO on August 1, 2015, at the age of forty-nine. He will oversee one thousand one hundred stores and one hundred and four thousand employees in the United States and Puerto Rico. Ellison also serves on the board of directors of FedEx and is actively involved in philanthropic efforts concerning mentorship and inner-city school renovation. He and his wife, Sharyn Ellison, have two children and live in Dallas, Texas. Maria Halkias, “Marvin Ellison’s Story is Classic J.C. Penney,” The Dallas Morning News, June 22, 2015, http://www.dallasnews.com/business/retail/20150622-marvin-ellisons-story-is-classic-j.c.-penney.ece; Angela Wilson, “J.C. Penney Appoints its First Black CEO, Marvin Ellison,” Uptown, October 14, 2014, http://uptownmagazine.com/2014/10/jcpenney-first-black-ceo-marvin-ellison/ “JCPENNY Names Marvin Ellison President and CEO-Designee,” Company News, October 13, 2014, http://ir.jcpenney.com/phoenix.zhtml?c=70528&p=irol-newsArticle&ID=1976923; David Thomas, “Former Brownsville Resident is JCPenney CEO, The Jackson Sun, November 19, 2015, http://www.jacksonsun.com/story/news/2015/11/19/former-brownsville-resident-jcpenney-ceo/76074334/.